Stiles Unit is a maximum security prison that houses all custody levels of inmates in Beaumont Texas, part of Jefferson County. Stiles Unit has a maximum capacity of 2,981 male offenders who range from G1 to G5 security levels. The facility is co-located on over 770 acres and shares many operations with the LeBlanc and Gist Units. Stiles Unit has medical treatment available 24 hours everyday and operates a 17 bed infirmary multiple assisted living beds, mental health observation rooms and respiratory isolation areas. Stiles Unit is unique in that it has an on-site infectious disease clinic and HIV program, because of this, the Stiles Unit houses a large population of HIV positive inmates. Inmates at Stiles Unit are encouraged to participate in educational classes like adult basic education, cognitive intervention, literacy, substance abuse education, and earn a GED while incarcerated. Additional technical training is provided in refrigeration and air conditioning, automotive mechanics, and transmission specialist. Inmates at Stiles Unit can join work details that provide facility maintenance, care for a unit garden, provide laundry services, and work with canines. Stiles Unit no longer operates a metal products plant, and closed metal products operations in 2011. 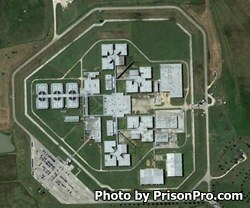 Offenders located at the Stiles Unit in Texas are allowed visitors on Saturdays and Sundays from 7am to 5pm. Inmates are only allowed a single visit per weekend which is limited to two hours in duration (unless the visitor has been approved for a special visit by the Warden's office). Special visits are only provided to those who are traveling over 300 miles to visit. Please understand that If you arrive at 4pm you will not have a full two hours of visitation as all visits terminate at 5pm. Stiles Unit allows visitors to bring up to $20 in quarters contained in a clear plastic bag (Ziploc) to purchase items from the visiting room vending machines.